Though u get green peas in Summers these days, the taste & flavor of those is nowhere as good as the fresh seasonal winter green peas. 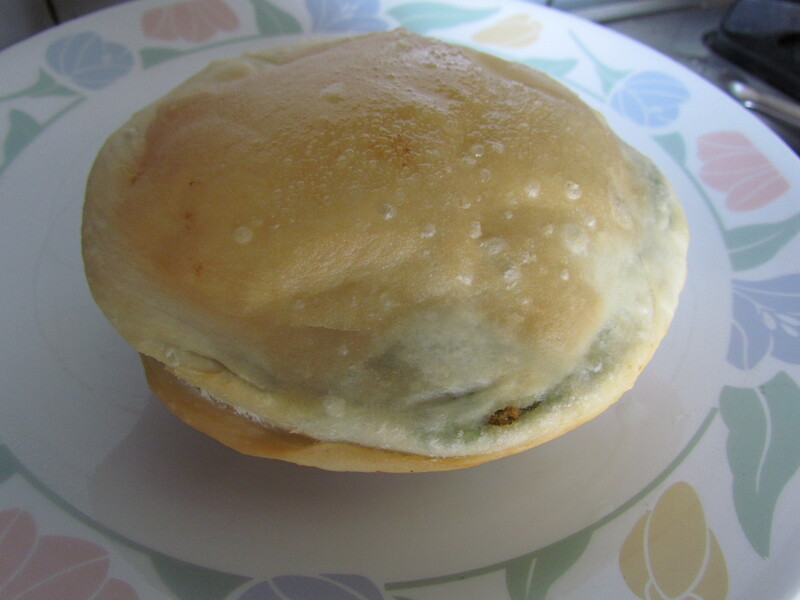 So time for some Green peas kachori. 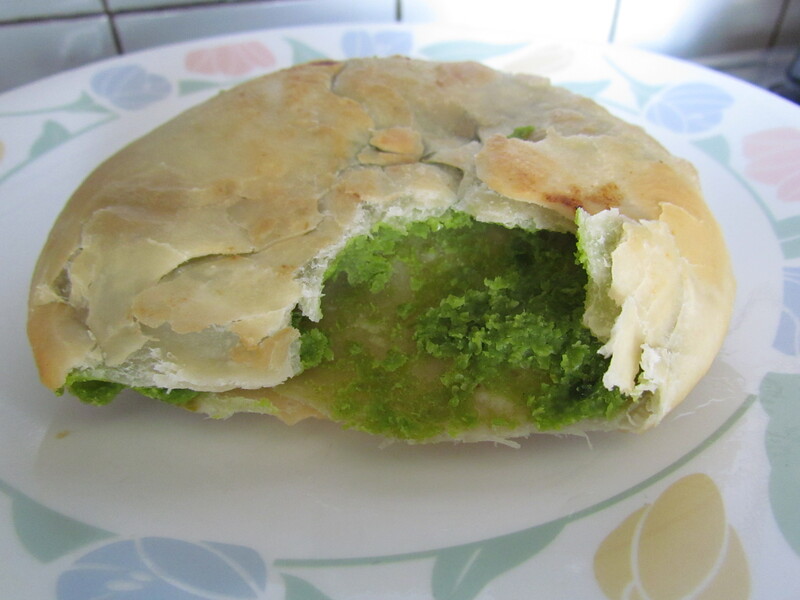 To avoid interfering too much with the taste of the peas, I like to use minimum spices to make the filling of the kachori. Start with a kilo of fresh green pea pods – unpod them while enjoying ur ipod:). 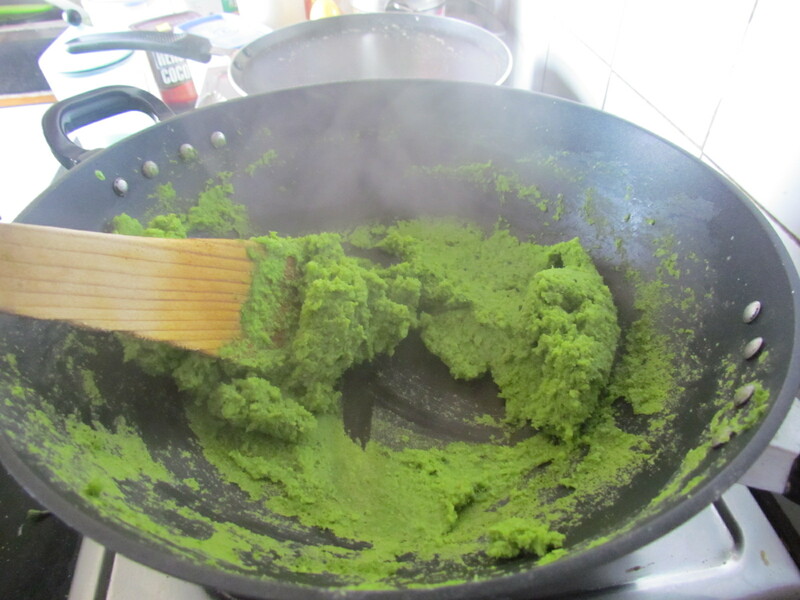 Grind the peas to a smooth paste in the mixer – grinder, throw in a few green chilies (ur choice of quantity to suit ur taste). U might need to add a bit of H2O while grinding. Add a large pinch of onion seeds (kalonji) to a tablespoon of white oil in a kadhai. Add the paste as soon as the onion seed starts crackling. Add salt & keep stirring uncovered so that the water evaporates………. 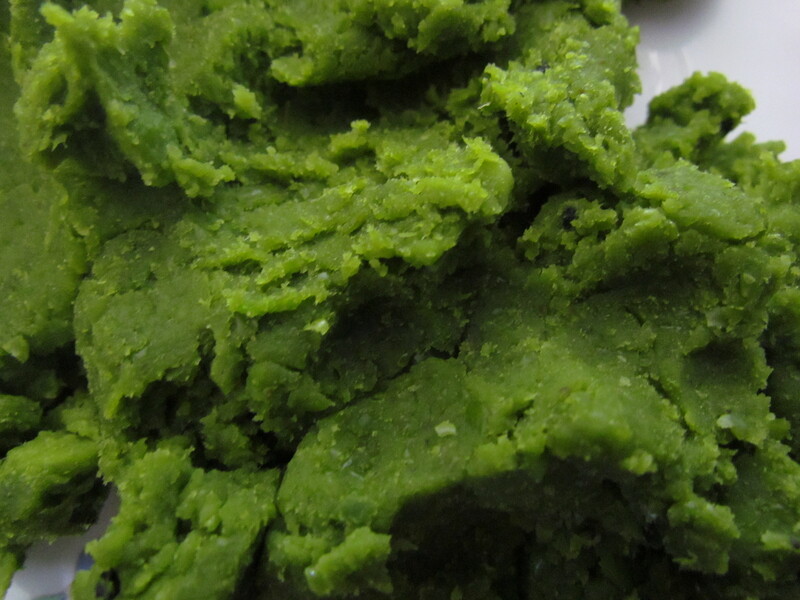 till the texture changes & the mixture no longer tends to stick to the walls of the Kadhai. While the mixture cools to room temperature, prepare the dough with 2 cups of maida (refined flour), two teaspoons white oil & salt to taste. 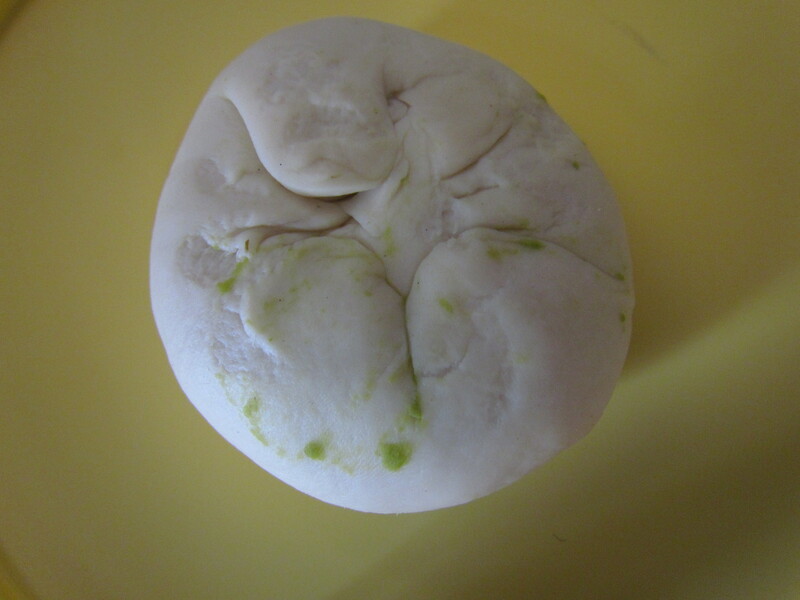 Knead it till stiff & divide into maida balls (each roughly the size of 2 pingpong balls). 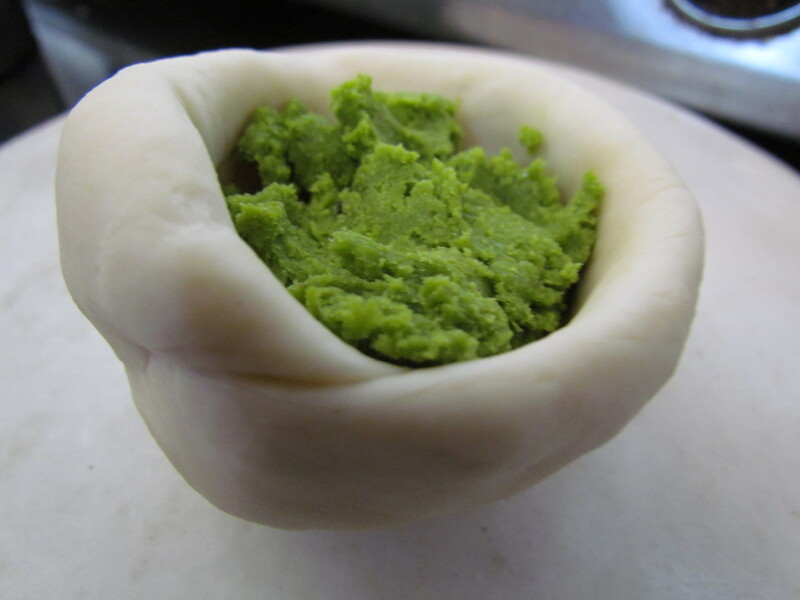 Roll them flat & create a hollow in the center – till it looks like a bowl. ……………….& close the edges of the bowl shaped maida. 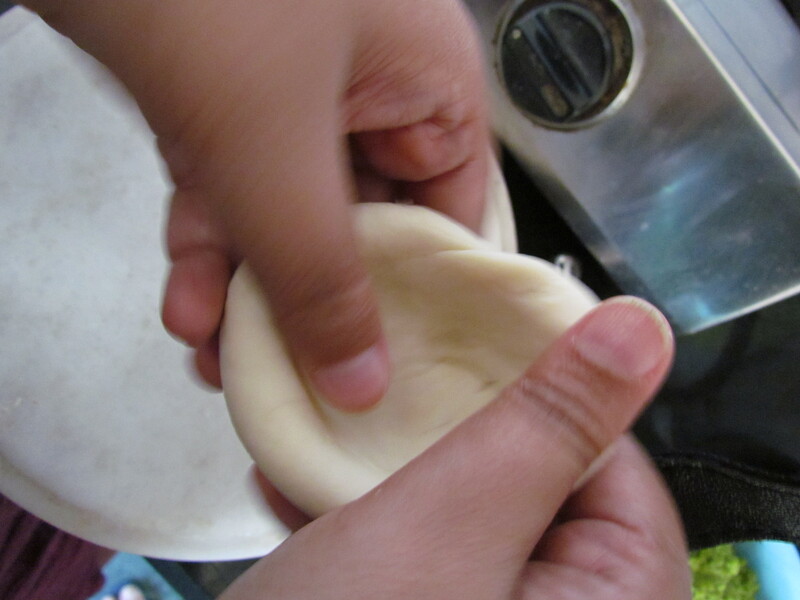 Roll it again to the thickness of a stuffed parantha & deep fry in medium heat ……………. till light golden brown. Enjoy the kochuri just as it is or with dum aloo. The Kachoris will have a mild sweet & salt taste inspite of the fact that u did not add any sugar – That’s the taste of fresh winter peas. I tried but did a slight variation to it…i added half a tea spoon of jeera powder in the oil along with the kalonji / onion seeds. Adds aroma the peas mixture. also, while grinding the peas, i added a garlic clove and a few leaves of coriander. A friend tried the baked version of the same and it was super and oil free.